The New Jersey special needs camps include camps for kids with cancer, diabetes, developmental disabilities, and visual impairment, and other special needs. Offers a week long, overnight night camping experience and year round programs for kids with cancer. A unique program of personal attention. Each camper is paired with an adult companion. At camp, a companion spends the entire week by his/her camper's side. Companions are trained to help the camper regain the life they once had. As a companion, they are there to help their camper do what normal kids do --- have fun, be away from protective parents, while under the protection and guidance of a responsible adult and role model. Camp activities include canoing and fishing on our pond, swimming in our pool, arts and crafts, theater, nature, volleyball, basketball, high and low ropes course, climbing tower, archery, giant swing, and a zip line that crosses over the pond. Thanks to the generosity of very special friends, we now have an air conditioned, accessible gymnasium complete with a full size basketball court. At Camp Nejeda children and teens with type 1 diabetes are given the opportunity to live, if only for one or two weeks, in a world where having diabetes is the norm and where there is no need to explain blood sugar testing, finger pricks, insulin injections or 'carb' counting because everyone at camp already understands. Campers with diabetes are free to just be children and to enjoy a fun and educational camping experience in a safe learning environment. They offer a one-week session for new campers, two-week sessions for older campers, and a Leader-in-Training (LIT) program, and a weekend family camping session. Camp Acorn serves children and adults with developmental disabilities through year round enrichment programs. 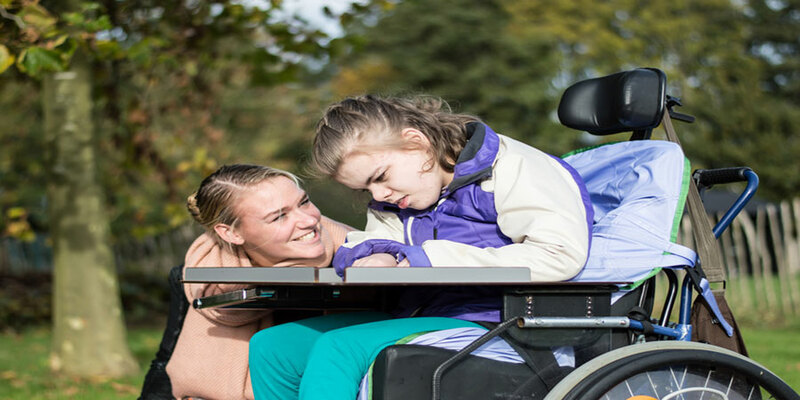 Their mission is to provide a supportive environment through enrichment programs that address the physical, emotional, and social well-being of children and adults with developmental disabilities. Our programs help campers build self-esteem, confidence, and life skills that branch into all aspects of their lives. They offer a summer day camp, "Super Summers" during June, July, & August, Monday thru Friday, 9:30am to 3:30pm. Open to children and adults with developmental disabilities. Located on over 30 wooded acres, the camp offers a variety of amenities, including air-conditioned cabins, barrier-free bathrooms and showers, an Olympic-sized barrier-free swimming pool, nature trail, open areas for sports and recreation, an on-site medical facility that is staffed 24 hours a day, and an air conditioned building where campers eat and enjoy activities . For Campers, their programs provides opportunities to make new friends, opportunities to develop independence and opportunity to gain self-esteem through success in fun activities such as nature appreciation, arts and crafts, sports and games, music and dance, theme parties and much more. They offer a Challengers Summer Camp for Ages 13- 18, in August. 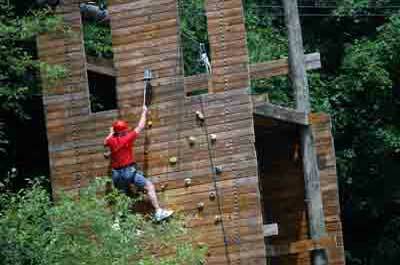 Challengers Camp Activities are designed to meet the individual needs of campers. Small group activities are planned to engage teens while working on fine and gross motor skills, socialization, traditional life skills, and providing a traditional camping experience. Children will have the opportunity to explore camp's natural setting with hands on activities. Thier summer camp ground designed specifically for children and teens with blindness, visual impairments and special needs, designed and owned by the NJ Camp for Blind Children (NJCBC) incorporated, a non-profit organization. It's located on 200 acres of woodland surroundings and a clear fish laden lake, with all of its facilities designed for the best possible care of visually impaired children. The camp is located in one of the few areas of New Jersey that has not been touched by suburban sprawl. Camp is adjacent to the Pequannock Watershed, Farny State Park and a large Boy Scout Reservation. The combination of abundant wildlife, woods, lakes and serenity brings campers to an idyllic setting. The objective of NJ Camp for Blind Children Inc. is to provide, promote and maintain a recreational, educational and rehabilitative camp primarily for visually impaired children. For off-sites activities, their mini-bus provides transportation to off-site activities such as Amusement Park rides at Morey's Pier, The Cape May County Park / Zoo, a water park, and more. The camp is located in a three story house with no elevator and therefore not equipped to handle campers with a physical handicap that would hinder them walking up and down stairs. They offer a one week in August overnight camp, dedicated to serving children and teens affected by HIV/AIDS and/or violence through a nurturing overnight camp program that focuses on improving the health, well-being and self-sufficiency of all. Camp Bright Feathers provides a stress-free, fun, recreational camp in the woods for these children that are dealing with an assortment of issues back at home. It's a chance for these children to be just kids. The camp sits on over 800 acres in the heart of the pine barons. 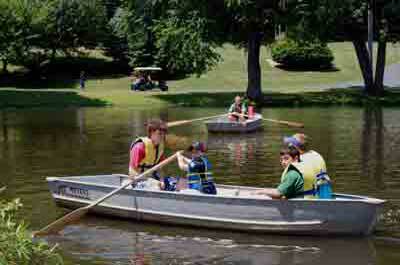 The camp has two man made lakes where the children can go swimming, boating, and fishing. The campers also participate in land sports, arts and crafts, nature, horseback riding, hiking, tractor rides, campfires, talent show, a dance, and karaoke. For children who have lost a parent, sibling or other special person through death, Camp Firefly provides a special place to share feelings, to make new friends, and to find relief from grief. Throughout the camp weekend, activities designed to help ease grief are combined with traditional fun camp experiences such as swimming, canoeing, cookouts, and arts-and-crafts. 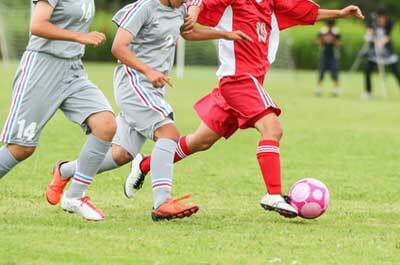 The camp is fully staffed by professional counselors and trained volunteers. Located on a 123 acre facility, they offer year-round programs in a beautiful and safe setting that provides opportunities for self-determination and group participation, along with physical exercise. In addition, Camp Merry Heart offers fun recreational trips and excursions, and weekend getaways that supply much-needed respite for family caregivers. Serving children and young adults with epilepsy, they offer an (Overnight) Children and Adults (age 12 & up) in Sussex County, and Day camp Children (ages 5 to 15) Monmouth County. They are dedicated to creating a wonderful opportunity for children and young adults living with epilepsy and other developmental disabilities to enjoy summer camp. Each summer, campers enjoy a week of traditional camp activities such as, swimming in the lake, boating, fishing, zip lining, arts and crafts, yoga, dancing, acting, and of course s'mores at the evening campfire. 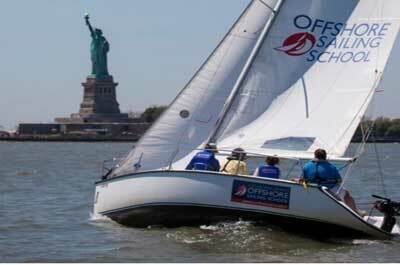 The top NJ kids sailing camps designed to teach the basics of sailing and positive personal characteristics.